For the record, I’ve only been involved as an active participant in one political campaign. More on that later. But, like many Americans, I follow the political process (locally and nationally), vote in every election (even the primaries) and have my opinions on pressing governance issues (not for publication at this time). Can you find the “red, white and blue” in this image? 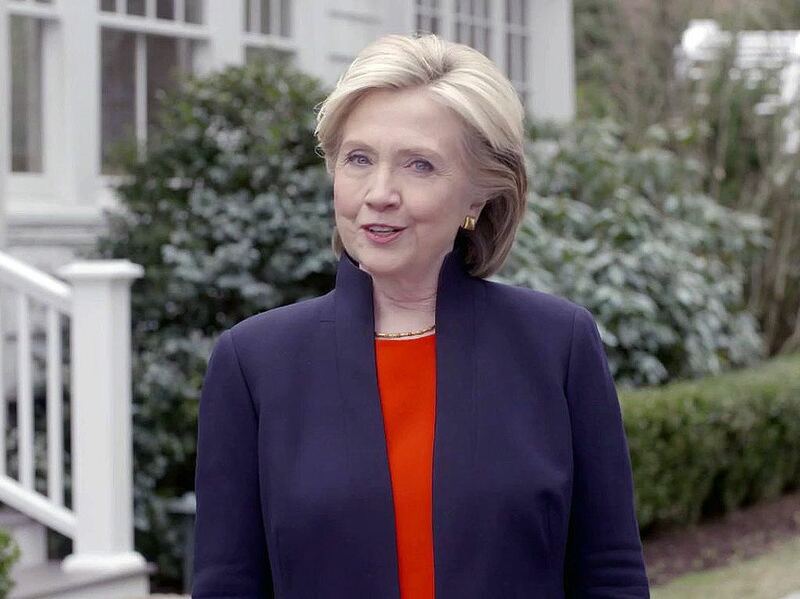 And, like many Americans, I viewed the video announcement April 12 that Hillary Clinton has officially entered the race for the Democratic nomination for president in the 2016 national elections. Clearly, it was a decision many — from professional political pundits to the average American (whoever that is) — anticipated. Count me in that category. But what I found fascinating was the way the message was delivered, which prompted me to identify three sound communications strategies employed by the Clinton campaign. 1. Delivered Digitally. It was a wise strategic decision to make the announcement through a crafted video. The format allowed Clinton to deliver an entirely scripted message using a medium widely embraced and accessible to most Americans. It avoided the standard practice of breaking the news at a rally attended by cheering partisan supporters. Finally, the video format — comments from people, followed by a message from the candidate — proved very effective. I got the message, and I wasn’t bored. 2. Engaging “Everyday” Americans. As just noted, the production opens with very short profiles of a very representative cross-section of Americans — a home gardener, two Hispanic brothers starting a restaurant, a young Asian woman exploring the job market, a gay couple from Chicago, an African American couple expecting a child, a woman who plans to retire, and others. These are the candidate’s supportive base, without question. I found their brief profiles compelling and believable. 3. Going On the Road. After the video was aired initially, Clinton took the message to the heartland, literally. She headed west in a van, making unscheduled stops at cafes, stores and service stations in small towns before a planned speech in Iowa. This kept the story alive, gave the candidate opportunities to engage with those “everyday” Americans and probably kept her out of range from answering the substantive kinds of questions that surely are forthcoming. Now, back to my involvement on the campaign trail, of sorts. Way back in the mid-1980s, I was enlisted by a friend to help distribute “palm cards” — small handbills — near a polling place on the Northwest Side of Chicago. I don’t recall the candidate or his platform, but I believe he was a Democrat. I do recall that after the polls closed, a campaign organizer invited me and other volunteers — those distributing literature for Democrats and Republican candidates — to a pub for beers. For the uninitiated, this was a clear example of how politics operated in some parts of Chicago and Illinois back then: Like a combine fueled at times by rewards (in this case a few rounds of drinks, for others a job) rather than political ideology. And, in a final thought, #4 communications strategy: Candidate Clinton’s campaign managers were smart to keep the candidate’s husband off the stump. For now.